Well, that was deathly dull, wasn’t it? 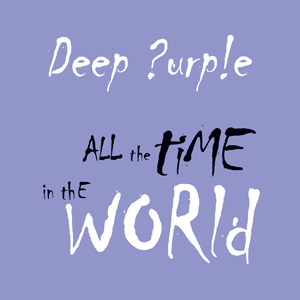 I mean, I really wanted it to be good, as it’s been a long (long) time since Deep Purple released anything that could be regarded as essential. And this doesn’t change that one iota. It’s a mid paced adult contemporary song that goes nowhere and does nothing. If this is the best they’ve come up with in 6 years, then it’s not looking good for the new album. Over on the B-side, you get Hell To Pay, which at least has a bit of life to it, and doesn’t come across like two old codgers moaning about things at the bus stop. It’s not great, but it is a song I would play more than once. You also get two live tracks for your money, both recorded at the Hard Rock Cafe in London back in 2005. So someone has decided to have a bit of a clear out. Highway Star and Smoke On The Water since you ask. And they’re exactly what you would expect from the 21st century incarnation of the Ian Paice Band. It doesn’t make me want to rush out and pre-order Now What, so I’ll be waiting for the sales.